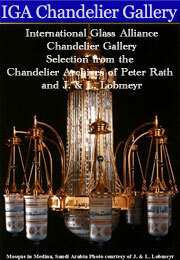 The International Glass Alliance’s Resource Links page is updated monthly. Please visit our site again soon for additional resource links and information. We look forward to highlighting more resources and links as the website expands. If you would like to add your website link to our website or to suggest a resource, please contact: creative@internationalglassalliance.org. Arts Wisconsin "believes that everyone, everywhere in Wisconsin should have the opportunity to experience the arts, and that the arts help build and sustain healthy, vibrant communities throughout the state. Our mission, to speak up and advocate for all the arts in Wisconsin, connects us with, and helps us serve, the wide-ranging, diverse and creative constituency of people, organizations and communities making the arts come alive in every corner of Wisconsin." Czech Radio Broadcast: “The 150th anniversary of the Glassmaking School in Kamenický Šenov north Bohemia, was established way back in 1856, 150 years ago, and was the first vocational school of its kind in the world.” 16-06-2006 12:42 Jan Velinger. Czech Radio Broadcast: “What is the future of Czech Glassmaking? 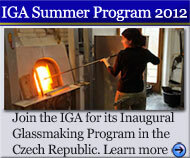 Glassmaking - one of the trademarks of the Czech Republic – is going through hard times. This autumn, the biggest Czech glassmaker, Bohemia Crystalex trading, was forced to close down two of its four plants... Does that mark the end of the country’s long glassmaking tradition? What will other producers do...” 23-12-2008 17:46 Ruth Fraňková. The IGA does its best to ensure all information is accurate and up to date. 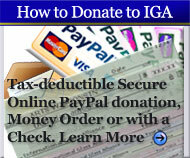 Please inform the IGA of any errors at: creative@internationalglassalliance.org.